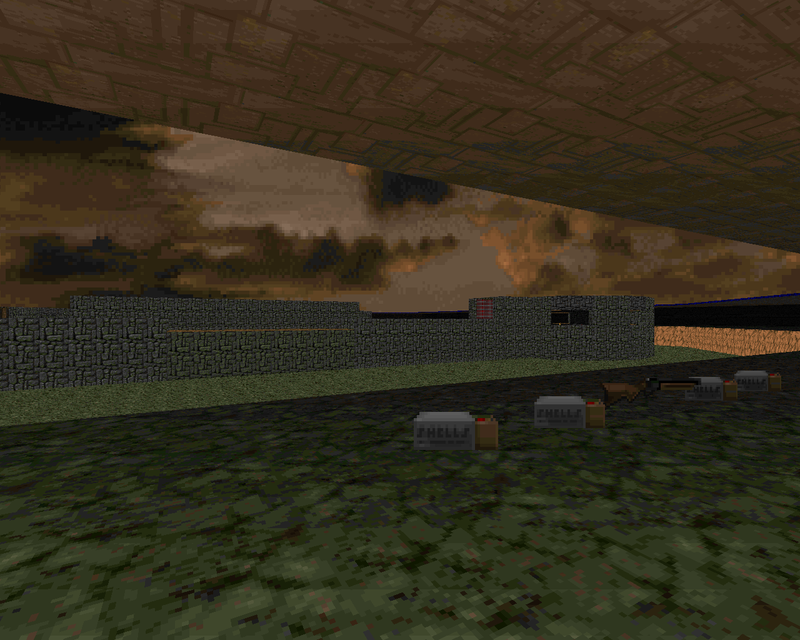 Many of the mods made during 1994 cannot hold up to the aesthetic standards of a community that has dissected and built upon the vanilla executable but a lot of the early energy seems to have come from the sheer novelty of being able to make a level and then share it. 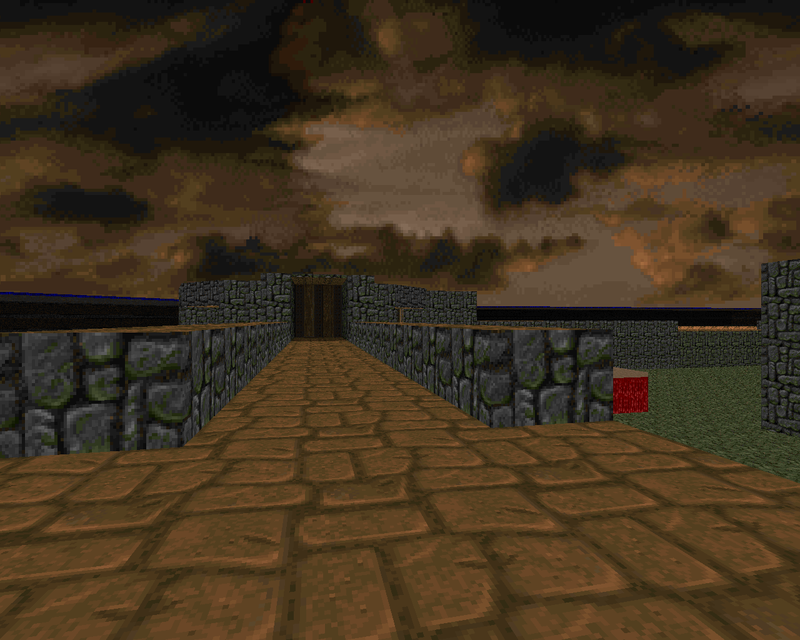 Fortress of Doom exhibits a few of the tropes, firstly because it professes to be compatible in both single player as well as deathmatch. 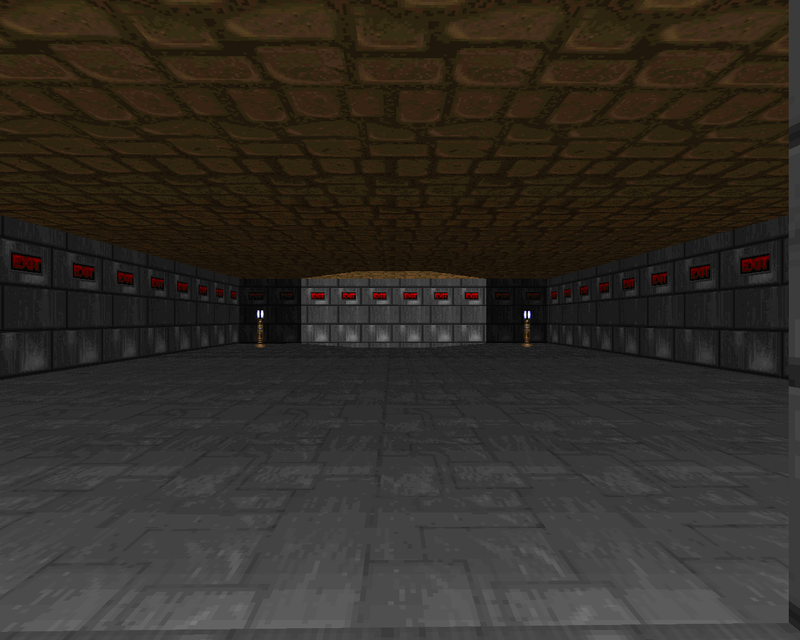 It's also part of the first wave of Doom II levels, standing as a MAP01 replacement. I initially believed it to be a conversion of an earlier level made by the author, hence the parenthetical 2, but in the .TXT for MAZEDOOM he distinguishes between this and I assume FORT.ZIP for the original Doom. FORTRESS has a plot! It's about what you'd expect, though. Seems like you didn't get all of the monsters while saving humanity from Hell on Earth. Now where have I heard that one before...? I'd be more surprised if he had. Doomguy hadn't really scoured the entirety of the planet's surface before taking on the demon spawner in Hell and it would have been a Sisyphean task if he'd had tried what with all the monsters pouring through the portal. Anyway, they're holed up in a fortress / castle thing and it's up to you to finish them off once and for all. Man, I wish it was only that easy! The level is kind of a tricky nut to crack because the battlements are manned by chaingunners, the key-containing corner towers are staffed by arachnotrons, and there are platforms with big powerups that are guarded by pairs of revenants. The only way to get inside or up is by "using" the discolored portions of the curtain walls which are actually lifts. You could go big for the rockets in the inner ring and potentially draw commando crossfire or slowly police the ramparts from a position of relative safety. 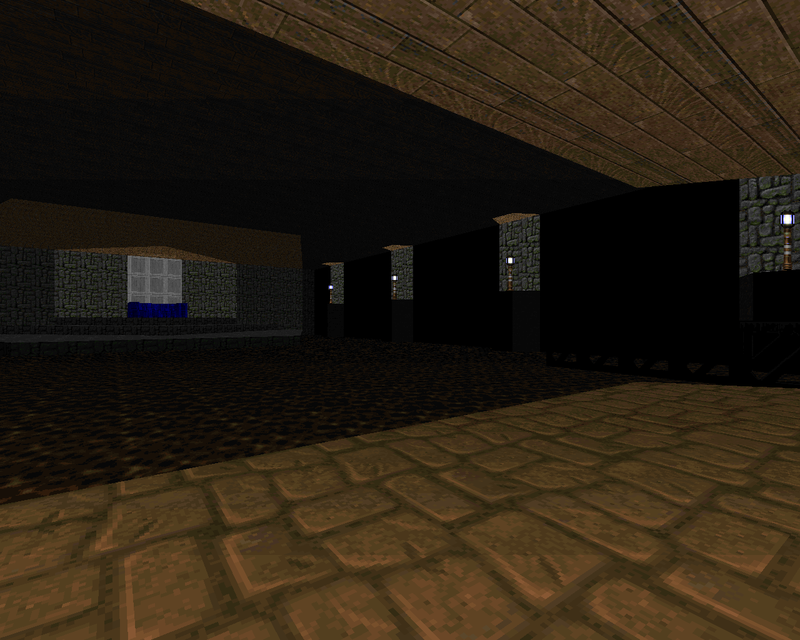 You'll need to clear the corner towers, however you decide to do so, before entering the main keep. By the time you get inside its few monsters - including an arch-vile - shouldn't pose a problem. The difficulty is based around how much exposure the player risks since there are still zombies on the outer floor as well as cacodemons and - gasp - a few pain elementals on the sides you don't start out in. The available health is either tucked away with the arachnotrons or on the powerup platforms, guarded by revenants. It's easy to route yourself through the megasphere and grab the rocket launcher while minimizing your exposure to chaingunner fire, though, at which point you have plenty of margin to handle the rest of the beasties... provided that you know how to get on top of the platforms. 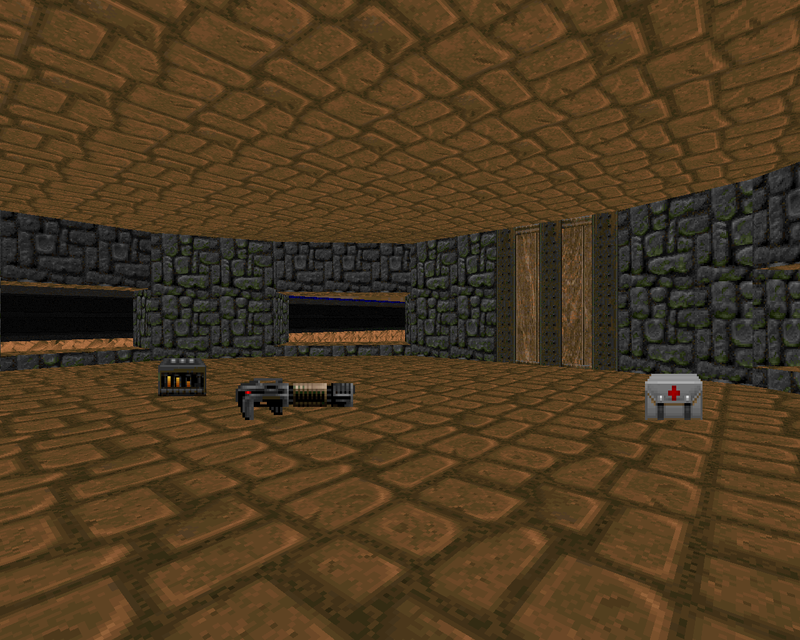 Fortress of Doom is a very simple level but it still works okay. I'd only recommend it to people who love to trawl through the relics of Doom's early days, though. Or players who are just desperate to play something set inside a castle regardless of its apparent aesthetic quality.